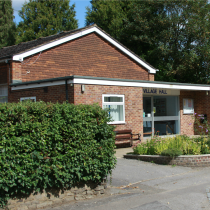 At Elstead Village Hall we are committed to safeguarding and preserving the privacy of our visitors. This is a statement of the General Data Protection Regulation compliance policy that is adopted by Elstead Village Hall for delivering our services. Elstead Village Hall will, when delivering these services, collect and use personal information only which is relevant to the work that we are undertaking and which will be controlled, stored and processed in accordance with the General Data Protection Regulations (GDPR), howsoever it is collected, recorded and used; whether it be on paper, in electronic media form (e.g. in a computer system), or recorded by other means. You may do so by submitting a request in writing. We will respond to requests to access or delete your personal data within 30 days. You may opt out of receiving marketing information by unsubscribing using the link incorporated into all our email communication. This is a session cookie set by this site’s Content Management System (CMS), Joomla, which is used when an admin user logs into the CMS control panel. Neither Elstead Village Hall or Google associate your IP address with any personally identifiable information.